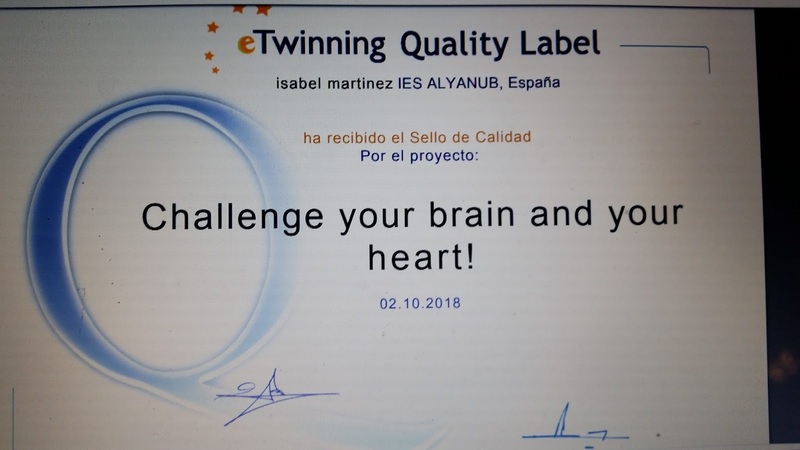 Quality Label granted on our Project "Challenge your Brain and your Heart"
We have just been granted the Quality Label for students and teachers involved last year in an etwinning project called " Challenge your brain and your heart"
The Project involved the importance of learning English not only through the verbal-linguistic intelligence, but through the 8 intelligences. : the musical-rythmic, the visual-spatial, the logical-mathematical, the bodily-kynethetic, the interpersonal, the intrapersonal and the naturalistic intelligence. 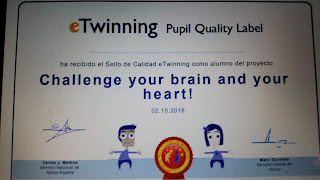 As the name implies, more than once it has meant a challenge for students and teachers and we have had to learn together, which was great fun. 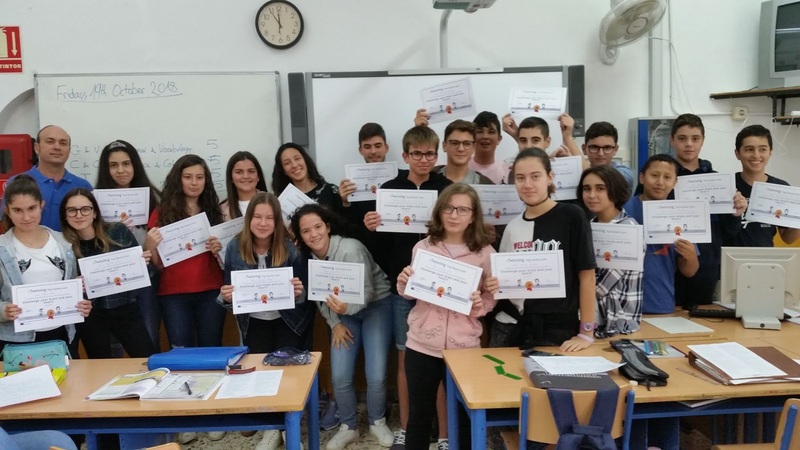 We worked with 4 partner schools : One in Cosrica, one in Greece, one in Sicily and another one in Turkey. 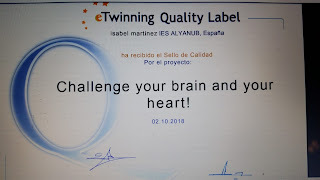 All the teams were fantastic and worked on the project with great enthusism. The result, so far 3 Quality labels from 3 different countries. 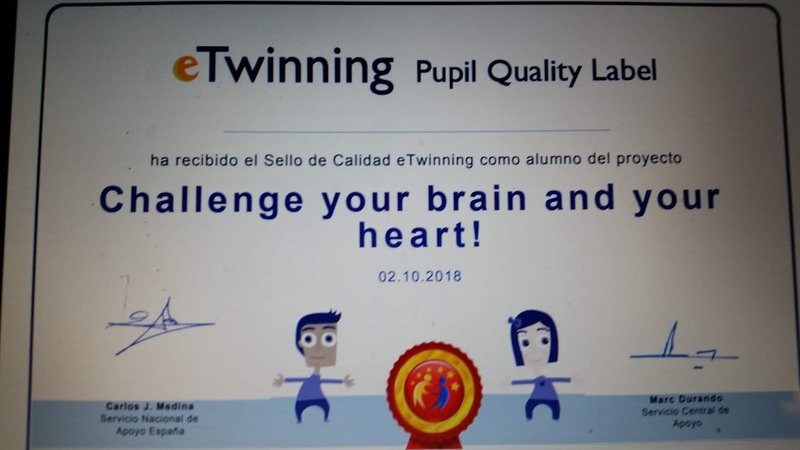 Here goes for a well done poject!! 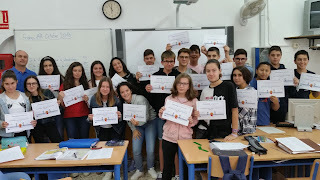 CONGRATULATIONS TO THE STUDENTS IN 2 ESO A last year, this year in 3 ESO C!! !